I feel the need to clarify that, being a parent, I have nothing against the protection of minors. In fact, I’m totally in favour of it. However, while classifying games (and videos) is useful to give unknowing parents, grandparents and other guardians a useful guide as to whether a game or movie is suitable for the intended audience, I sometimes can only wonder how these ratings are justified. Let me give you an example! 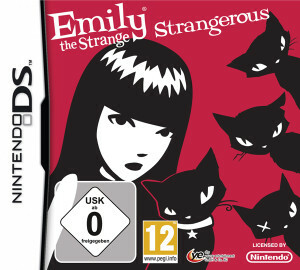 I recently bought a Nintendo DS game based on a comic series: Emily the Strange-Strangerous. If you know the comic series you will agree that it is a somewhat darker, cynical and at times depressive series. If you don’t know it, have a look here. It is a good comic and you don’t want to miss it. Ladies and gentlemen, we have a loser! How can the German USK differ so much from the others, especially if you keep in mind that the game features violence against others in cartoon form. But violence is not the real problem this rating has. 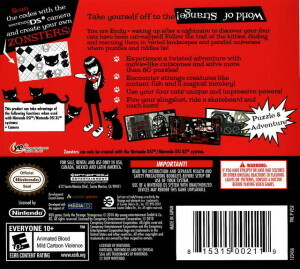 To actually play the game, you have to be able to read. If you can’t, you won’t understand instructions or hints to solve the many puzzles awaiting you. This is misleading. Those ratings should take into account the abilities of the children. Especially when it comes to reading or writing.